Delta Computer Crash: Malfunction or More Likely Cyberattack? Delta Airlines, the second-largest airline in the US and the third-largest carrier worldwide, suffered a disaster when its computer system crashed on August 8, forcing it to ground all 6,000 of its flights worldwide except those already in the air. Some flights were cancelled and others were delayed, in some cases even by several days. The official cause of the incident that occurred at 2:30 a.m. eastern time in the US, according to Delta’s internet site, was a power outage that led its computer systems to crash. The first signs of repairs to the system were only evident six hours later. However, an analysis by DEBKA Weekly’s cyber defense and technology experts has concluded that such an outage could not have shut down all of the airline’s systems. Rather, it is likely to have been the result of one of the biggest cyberattacks on the US, although Washington has too much pride to admit it. The aviation giant, which employs 80,000 people, has 180 million customers a year in the US. The airline’s computer network supports all of Delta’s commercial activity, including ticketing, preparation of boarding passes, cargo management, scheduling of takeoffs and landings, availability of planes, designation of ground and air crews, maintenance, seating, upgrades, payments to suppliers, and operations of the airline’s websites and self-service kiosks. As a result, the entire computer infrastructure including databases, servers and routers are not in a single room or center, but rather are scattered in different cities, countries and continents far from each other. This system has been instituted in the age of Cloud computing, a technology that helps reduce risks and raise the speed of normal operations. Also, the control centers for some of Delta’s systems are located deep in the ground and have many sources of electricity, including generators that are supervised 24 hours a day, seven days a week. Large-scale computer systems such as those of Delta are backed up in such a way that if one part, such as a power supply, database or server, ceases to function, a backup system automatically kicks in, in its place. In addition, like all other huge companies, Delta has a disaster recovery plan. This layer of defense has been established to ensure the continued operations of critical systems in emergency situations, based on the assumption that the worst-case scenario will eventually happen. Under this backup method, customers will be able to receive services from systems that are nearly identical to the ones that crashed. Considering these factors, it is clear that a power outage cannot be an acceptable explanation for the catastrophe that shut down Delta. A spokesman for the utility providing electricity to Delta’s headquarters, Georgia Power, said that there was no outage in the area of the headquarters, and not a single customer in the area complained of a cutoff of the electricity supply. Thus, there can only be two possible reasons for the halting of service: a cyberattack or a malfunction. A cyberattack is the most reasonable possibility since Delta, like other major US airlines, faces the threat of terror. The computer crash is likely to have been the result of malware that was secretly injected into the systems several months ago, and then activated to shut down the company’s critical systems, and even worse, to block implementation of its disaster recovery plan. 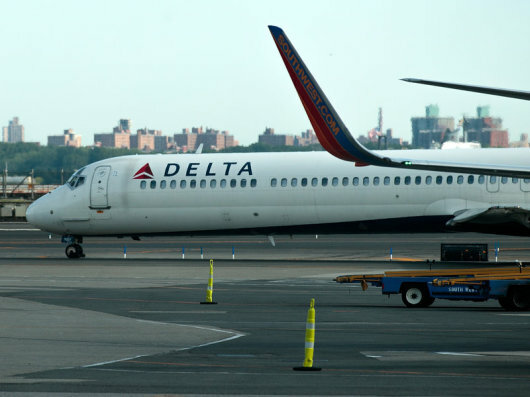 Since Delta’s primary systems were apparently infected with malware, there was no chance to operate the backups, so Delta engineers were forced to isolate segments of the systems, purge the malware and load backup systems. This long, painstaking and complex process takes days. The chances of a programming or operational malfunction are believed to be slim, mainly because of the dispersal of the systems in different cities, countries and continents, as well as Delta’s large number of technology strategies, external suppliers and manufacturers. Still, it cannot be ruled out that engineers started to fix a small local malfunction at 2:30 a.m. but caused a series of malfunctions that had a domino effect, causing the shutdown of the airline as well as losses of hundreds of millions of dollars.